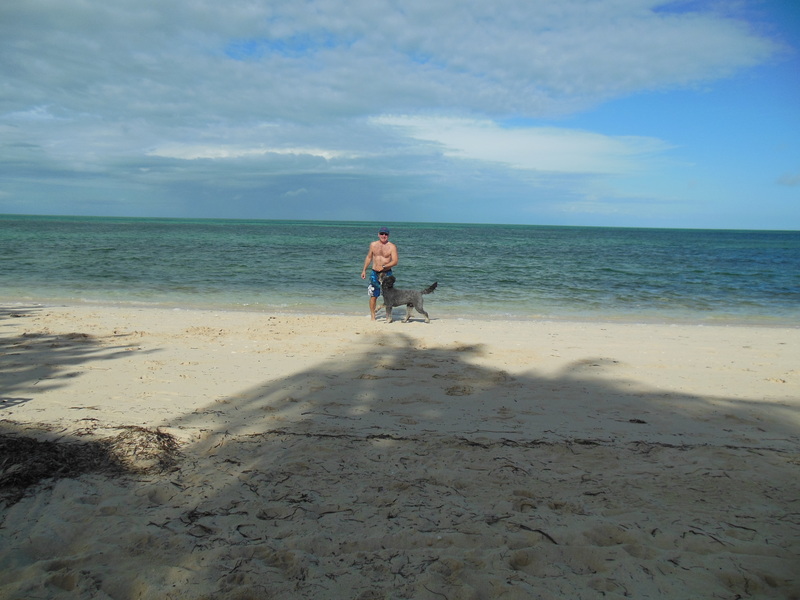 It is indeed, better in the Bahamas! 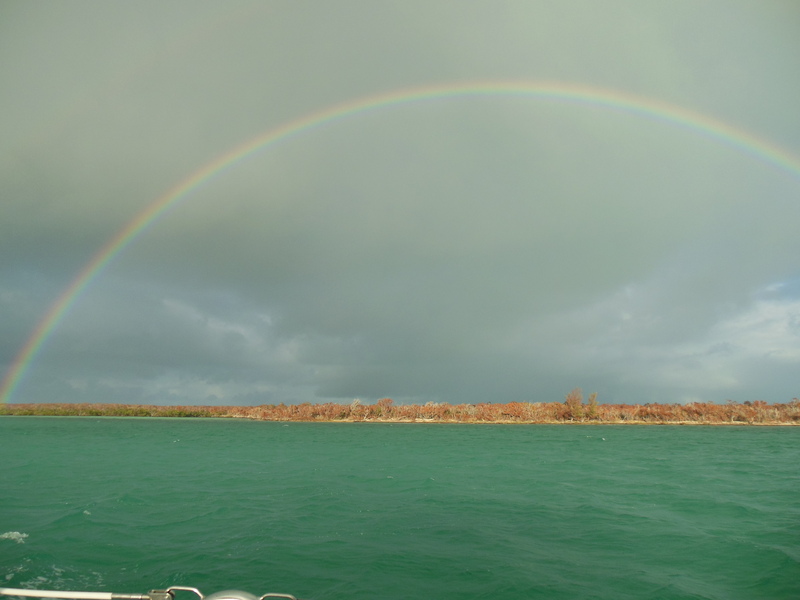 Saturday starts off with pouring rain, but clears by late morning with a spectacular rainbow. 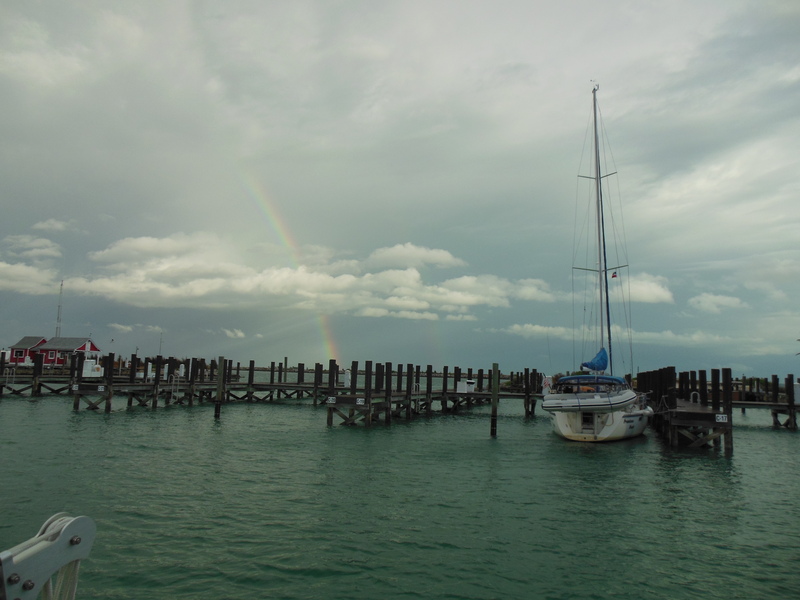 Since being in the Bahamas, we have seen many rainbows. An indication of the unsettled weather we have been having, unfortunately. 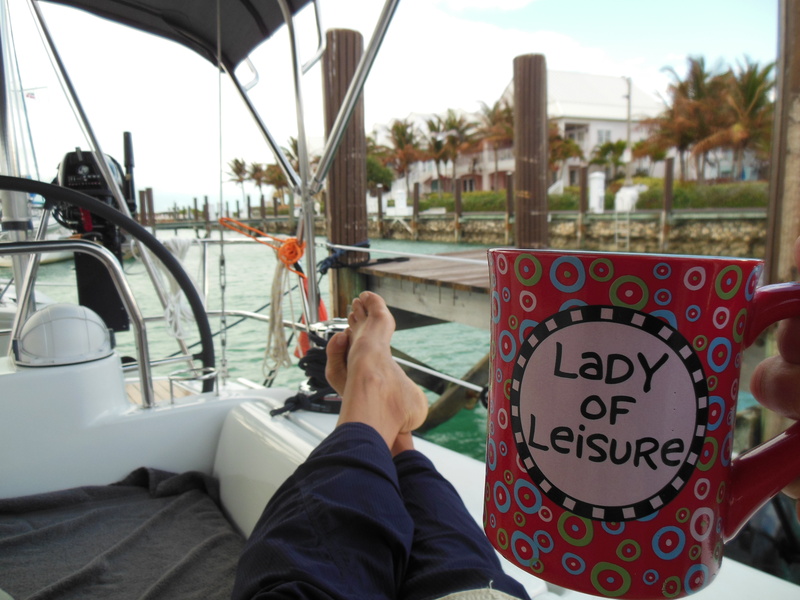 But it turns out later to be a lovely day, so we enjoy Mimosa on the deck. 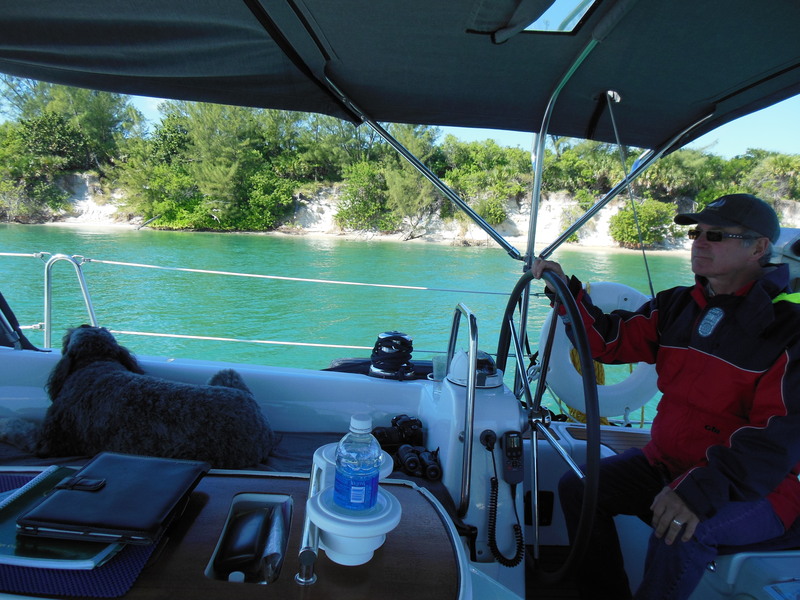 Later we have cocktails with our friends Debbie and Dennis (with daughters, Tara and Tesse, and dog, Eli) on their boat ‘Promises Kept.’ We agree to depart together the next day and sail to Great Sale Cay. 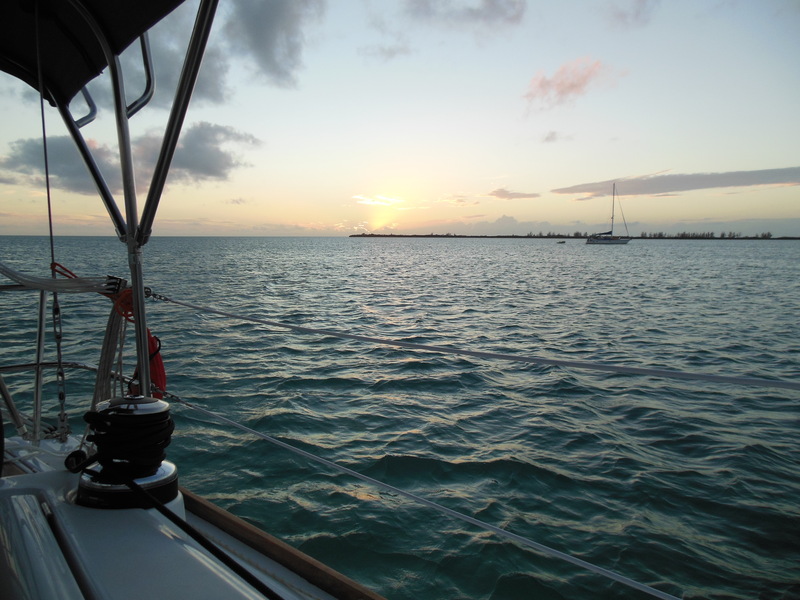 It’s a beautiful morning when we leave for Great Sale Cay, with ‘Promises Kept’ following close behind. 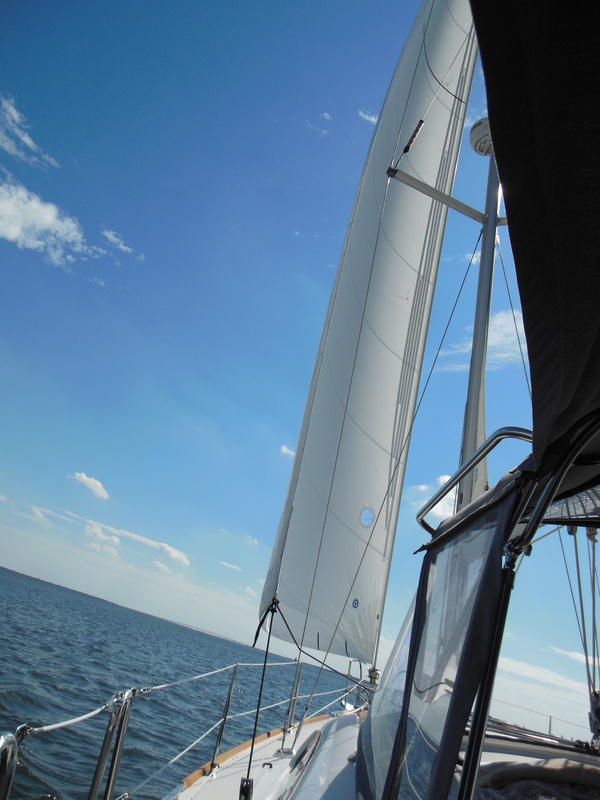 When we put up the sails, we pull away from them. Later Dennis is hailing us on the radio by the name ‘Silver Bullet’, and continues to call us that for the days following. Pretty funny. 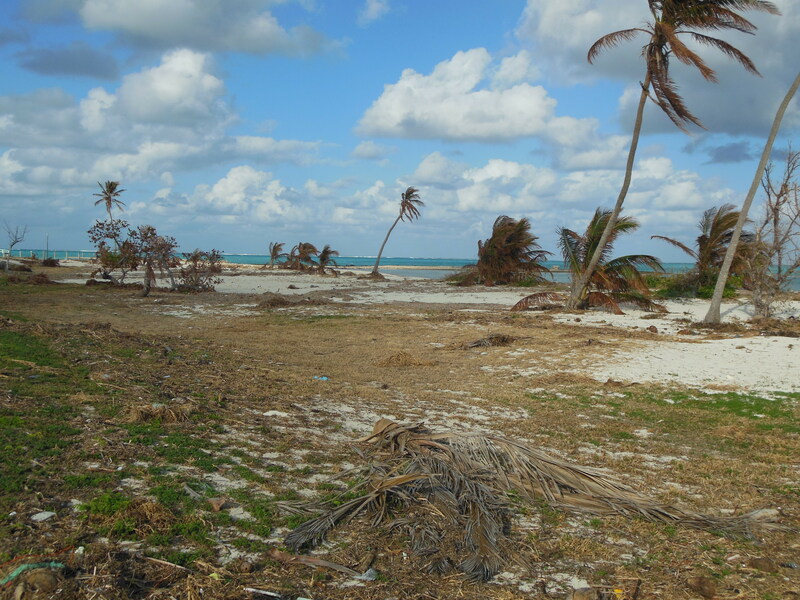 When we arrive at Great Sale Cay, the island looks pretty much dead. 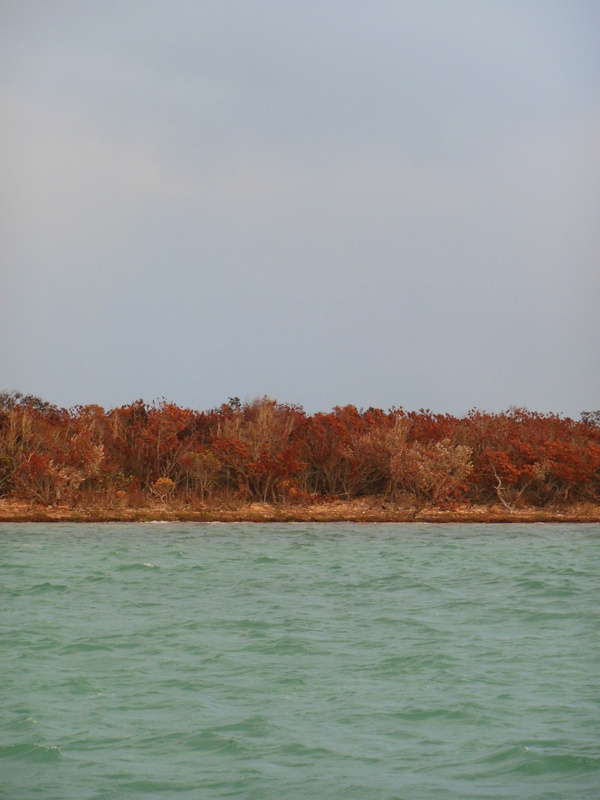 All the vegetation is brown from the salt water damage it received when hurricane Sandy went through. This seems to the case across what we’ve seen in the Bahamas so far. Very sad. 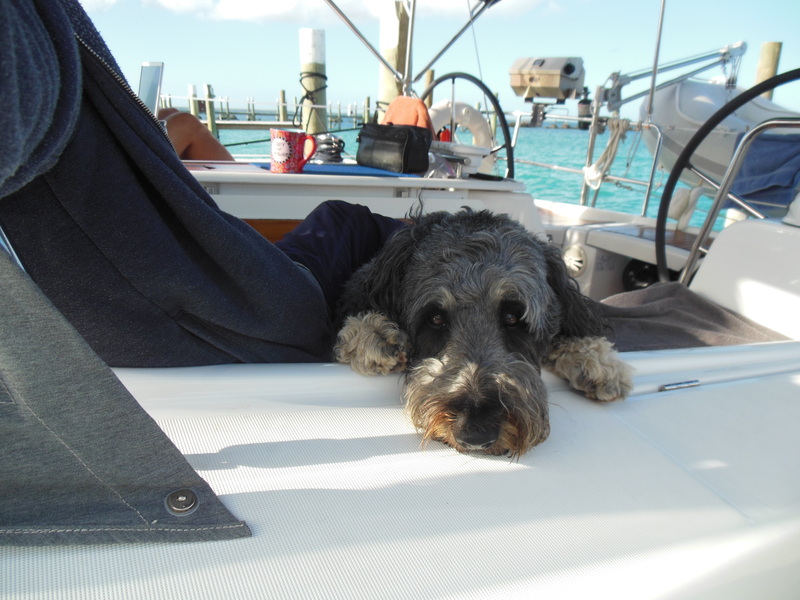 But the anchorage at Great Sale Cay is quiet and a close dingy ride for Leo to go onshore. 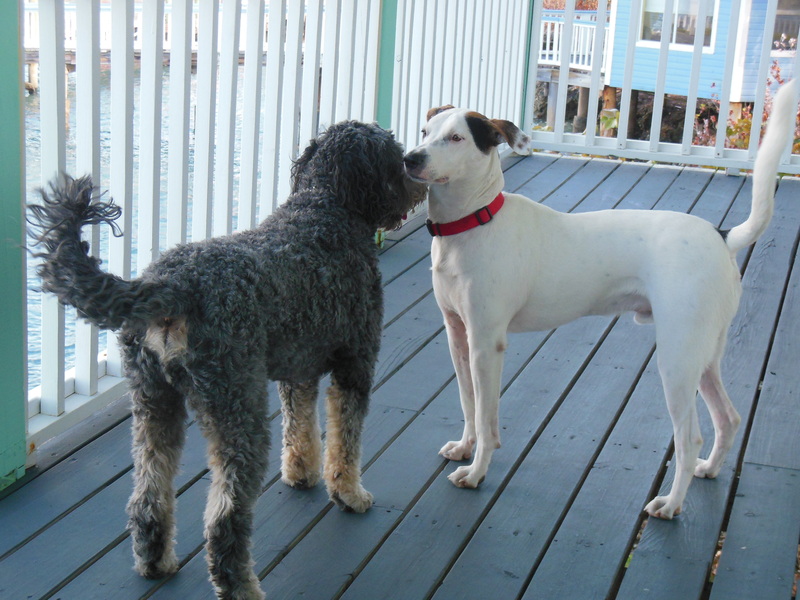 He enjoys having Eli (dog on Promises Kept) to play with, although Eli seems mostly disinterested. 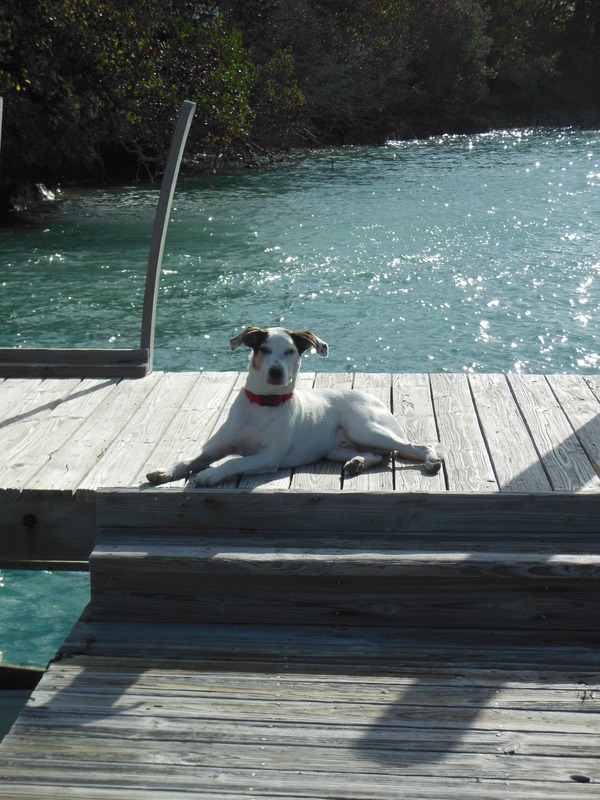 We stay in Great Sale Cay the next day so we can try out the watermaker (which turns saltwater into drinking water for us). It works great! While Randy is working on that, Lee does some fishing (no fish). Later in the afternoon the rain and storms move back in. 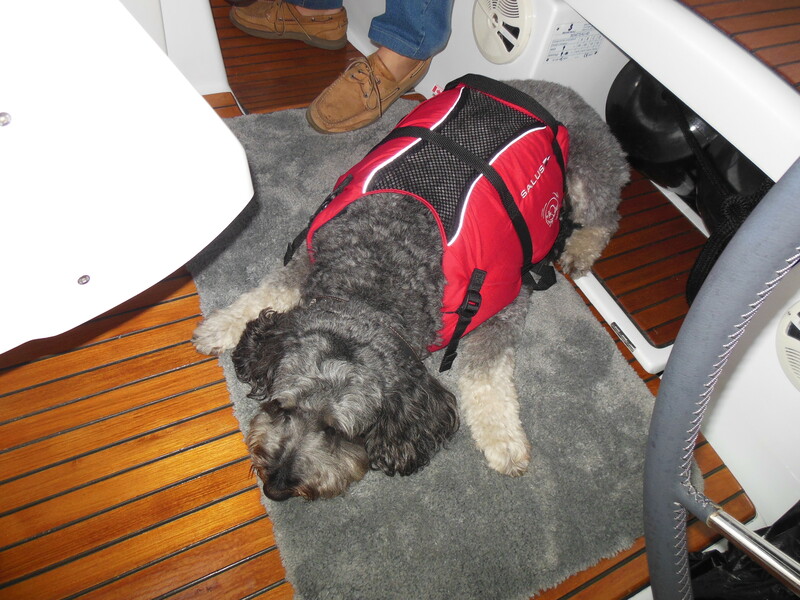 It is another rough night on the boat with waves and wind which seem to pick up every night and keep us awake. 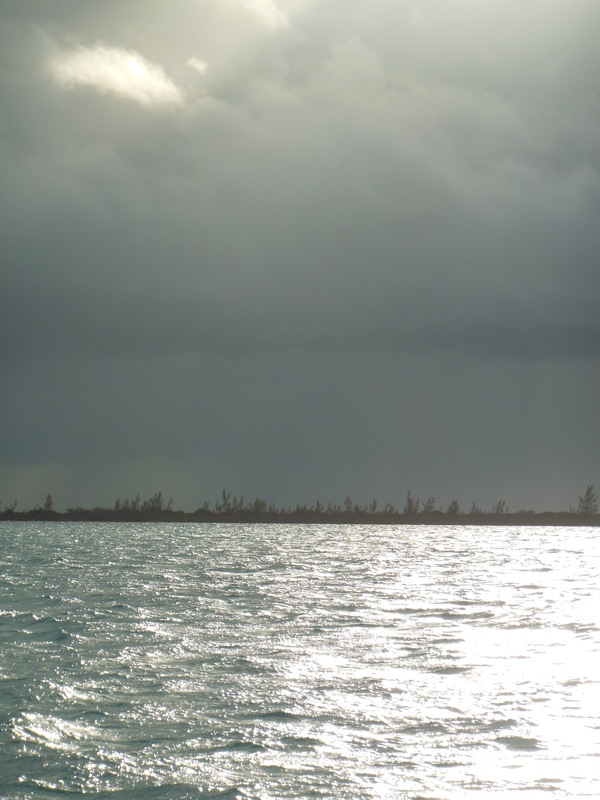 When we leave Great Sale Cay for Spanish Cay, it has stopped raining, but we can see the storms all around us. ‘Promises Kept’ have decided to stay for a few more days, so we head out on our own. At one point along the way, while Lee is below in the washroom, the wind and rain hit us full strength and it is pouring sideways into the cockpit. When she comes back up, it is a monsoon. We are soaked. Leo is disgusted. 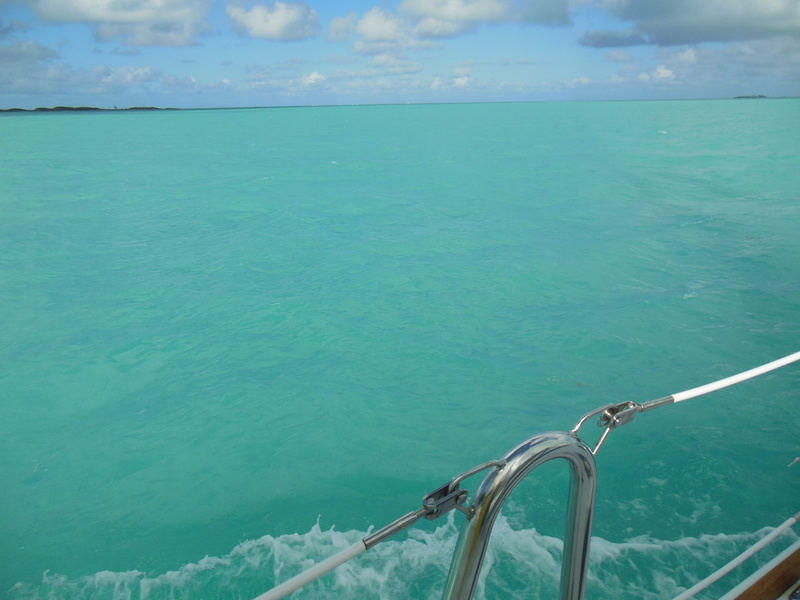 By the time we hit Spanish Cay, it has stopped raining but everything on the boat seems to be wet from rain and the waves. More swimming pool water. Beautiful! 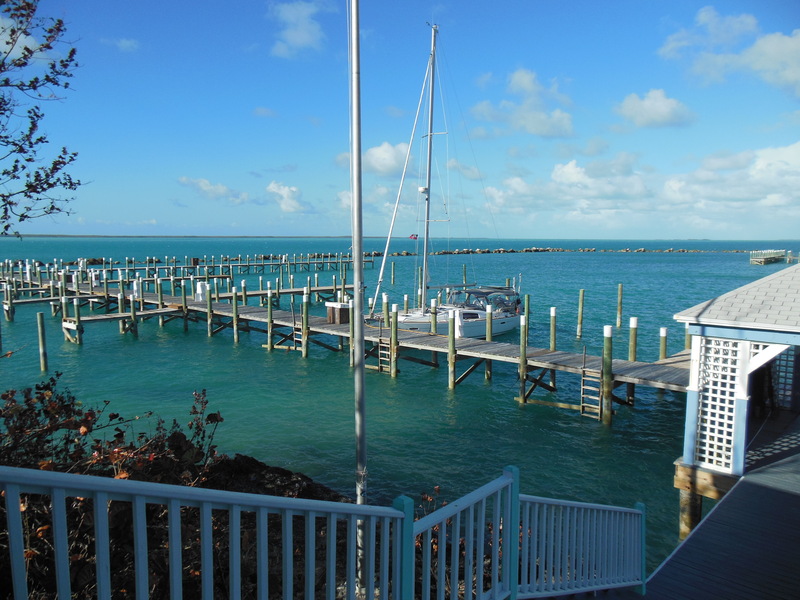 The marina at Spanish Cay was hit hard, not only by hurricane Sandy this year, but also, Irene, last year. The managers seem disheartened, and the place is just barely open. Most of the facilities are closed and the beach is a mess. We are the only ones at the marina. 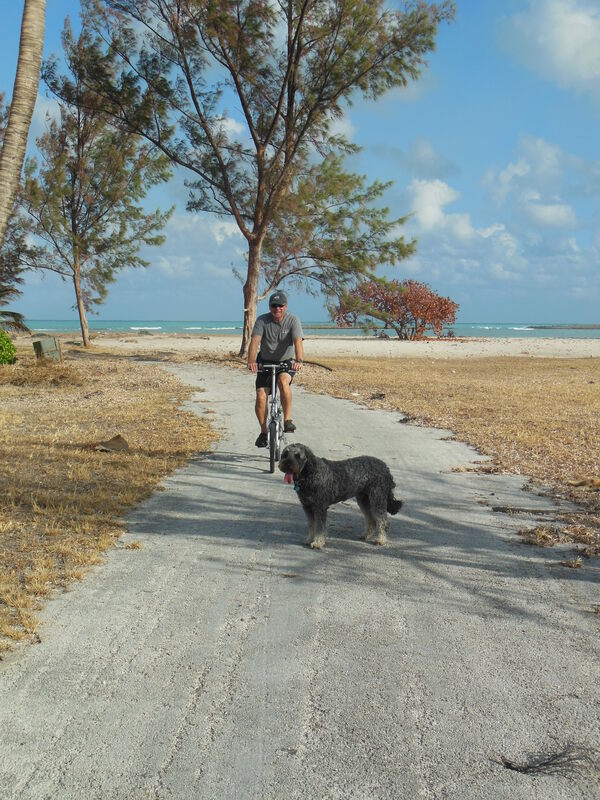 The island itself is lovely and we enjoy some walks and biking. After a couple of days though, it started to get a bit creepy being the only ones there so we head out. Beaches are devastated from the storm — what a shame! 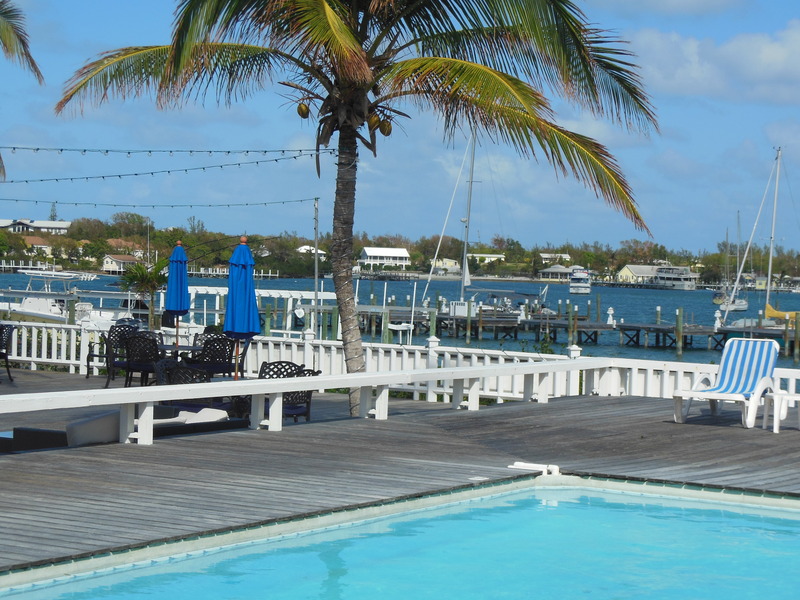 When we leave Spanish Cay, the wind is blowing up to 30 knots at the dock. But, we are determined to move on. With the help of the manager and a friend of his, and some excellent piloting from Randy, we are able to get out of the slip unscathed. 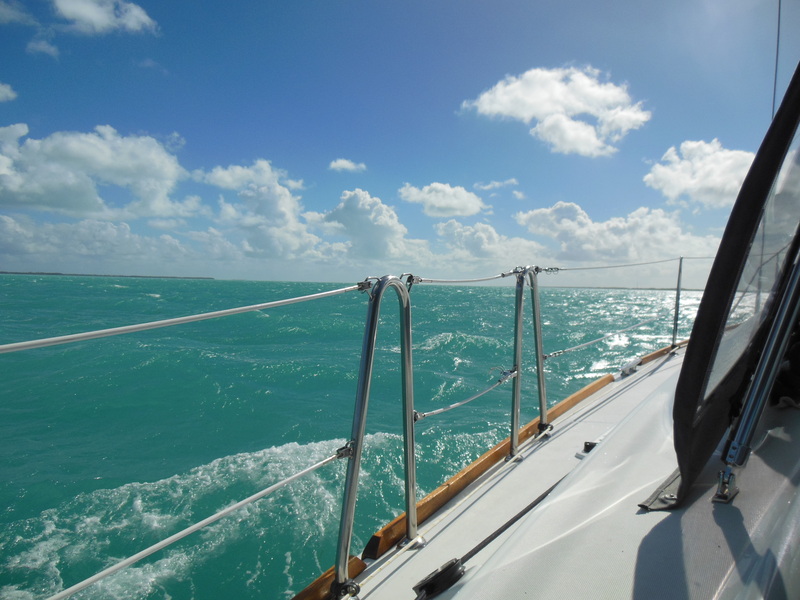 The trip from Spanish Cay to Green Turtle Cay is VERY wind and rough. 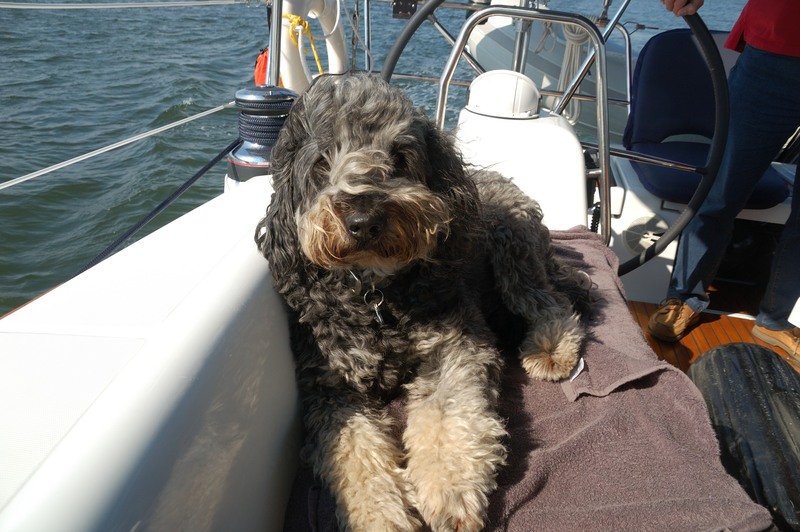 It is so windy that we don’t bother putting up any sail. 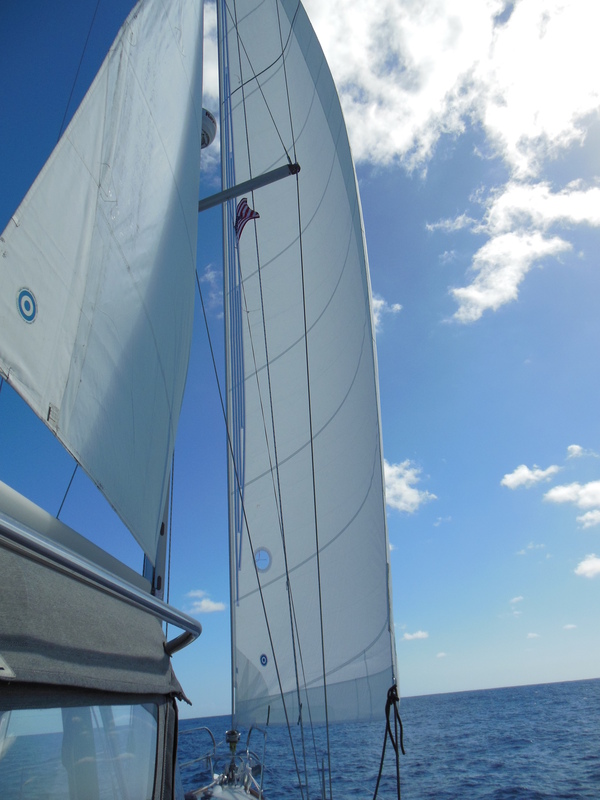 With the engine idling, we are still doing 6 knots because of the wind blowing us from behind. 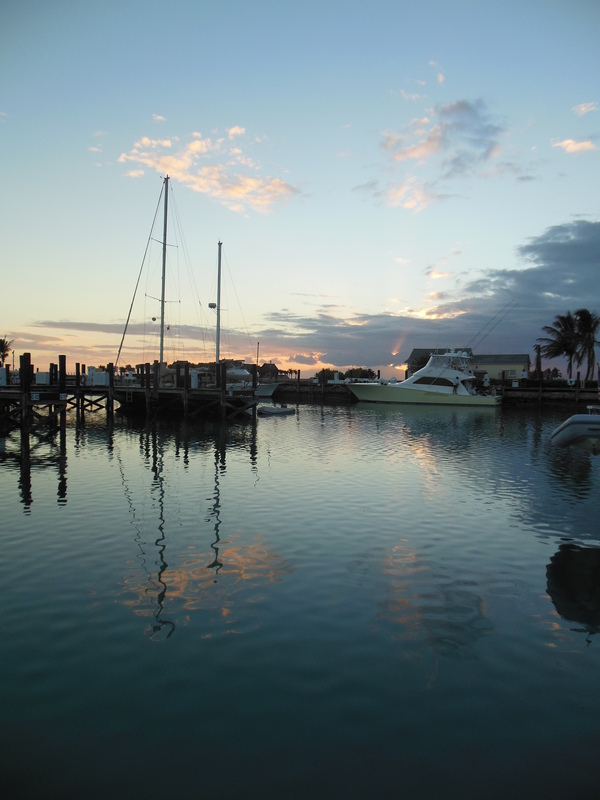 When we arrive three hours later in Green Turtle Cay, it is a relief to be safe in the marina at Bluff House. 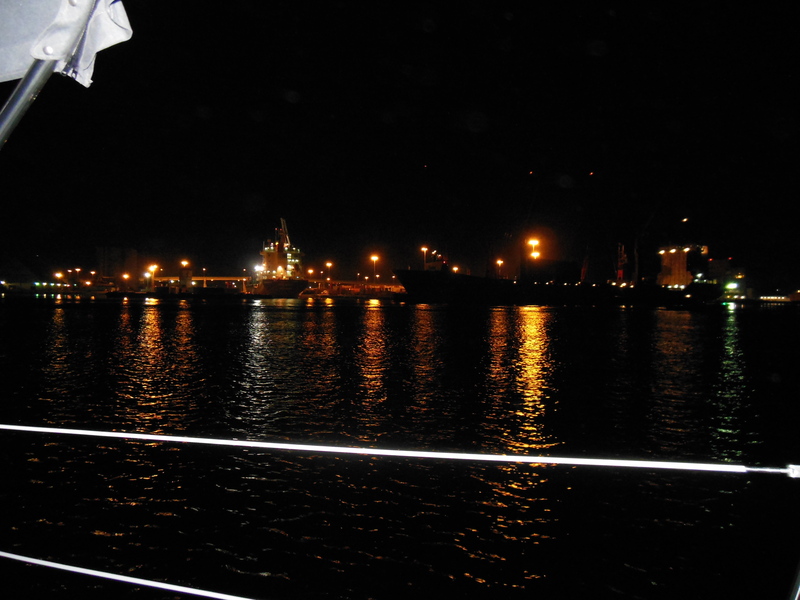 The marina at Bluff House is great. Nice restaurant and pool. The day we arrive is US Thanksgiving so we do turkey dinner at the restaurant. The next day we enjoy the pool and relax. 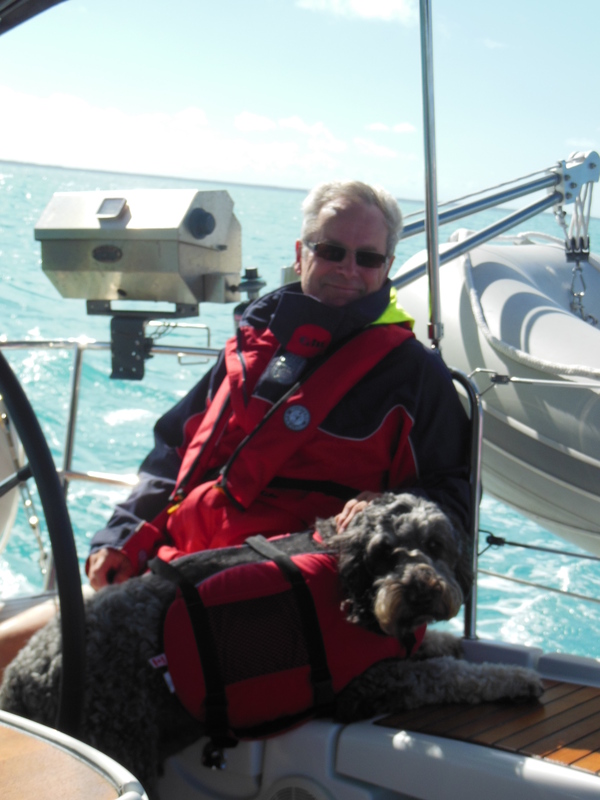 Today, we are moving just across Green Turtle Cay to the Leeward Yacht Club, where our friends Peter and Caroline (from Oakville, ON) keep their boat. They arrive tomorrow and we plan to have dinner with them when they get in. Unfortunately, it doesn’t look like the Grey Cup (Canada’s answer to the Superbowl) will be televised, so we will have to check in online to see how its going. Go Argos! We are in the Bahamas! We spend our time waiting in West Palm preparing for the trip, including taking Leo for his final vet appointment to complete his immigration paperwork, buying groceries and doing laundry. After nearly a week, we were getting tired of being here. On Wednesday morning, the decision is made to do the crossing on Thursday. The winds aren’t going the direction we’d like, but they will be light enough that it should be okay. 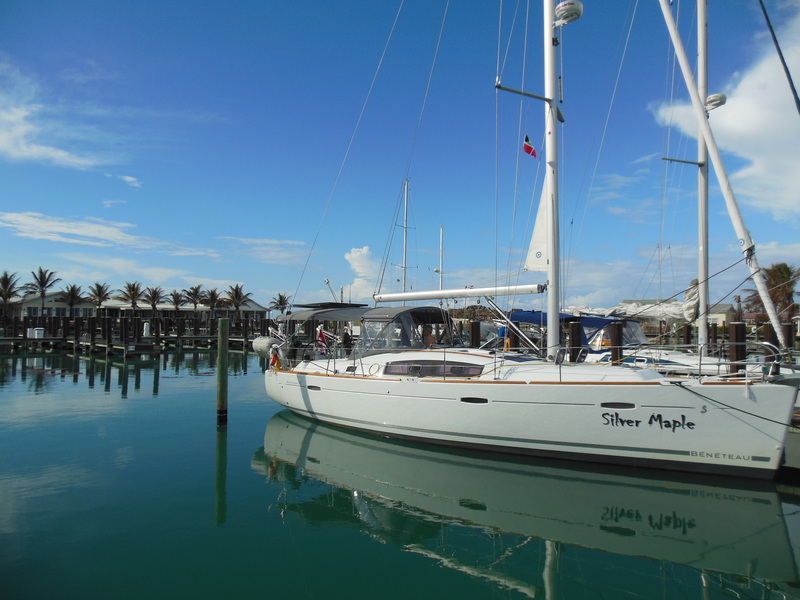 Final preparations are made and we move to a marina closer to the inlet so that we are close to the ocean to start the crossing first thing in the morning. We we get up in the morning at 4 AM and are on the water shortly after 5 AM. 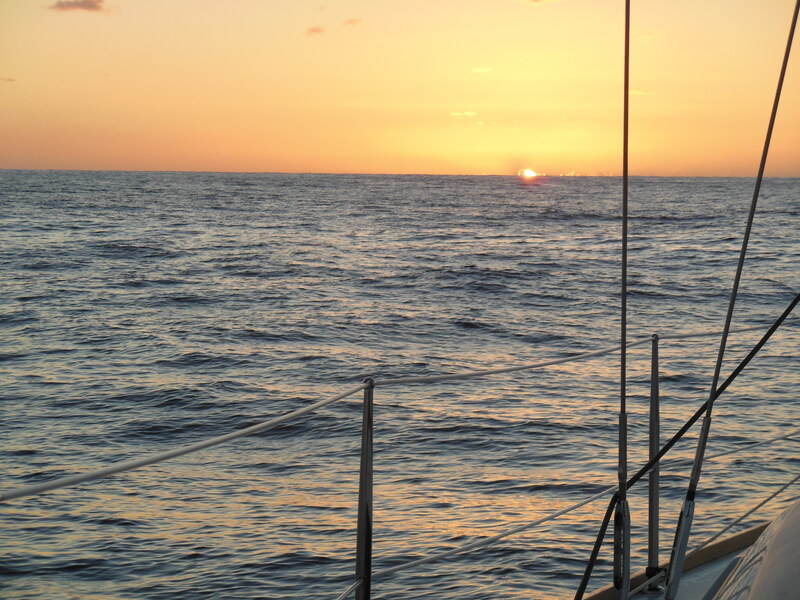 It is dark when we start, but the sun comes out just as we head out of the inlet into the ocean. 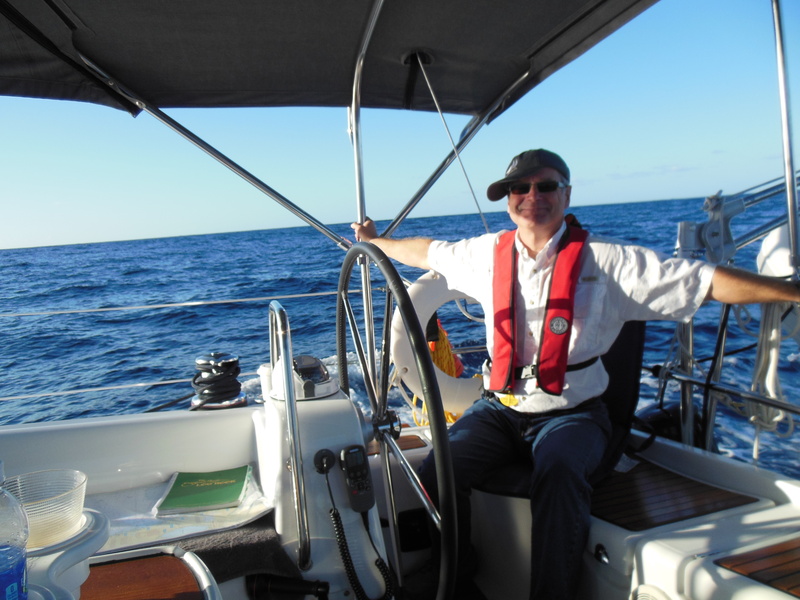 We are with two other sailboats doing the crossing. 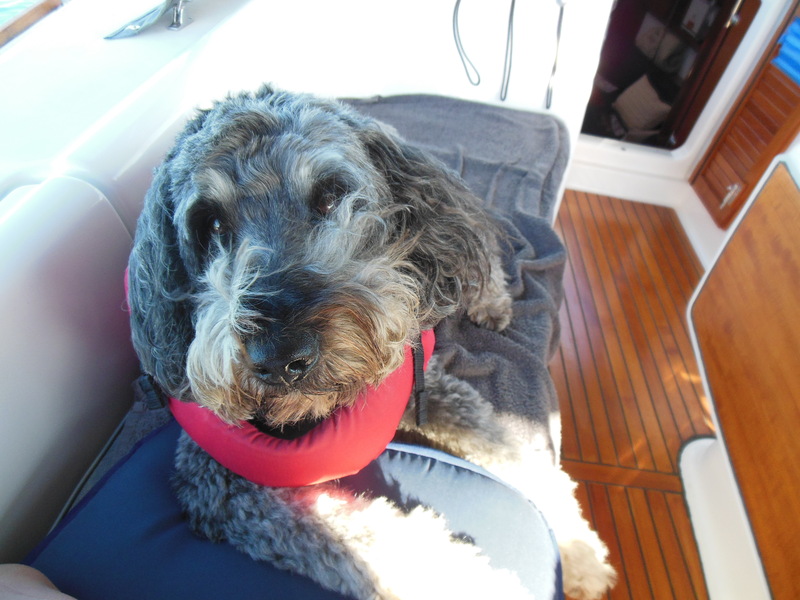 One, Randy connected with the day before on the VHF radio and we agreed to meet up in the morning. 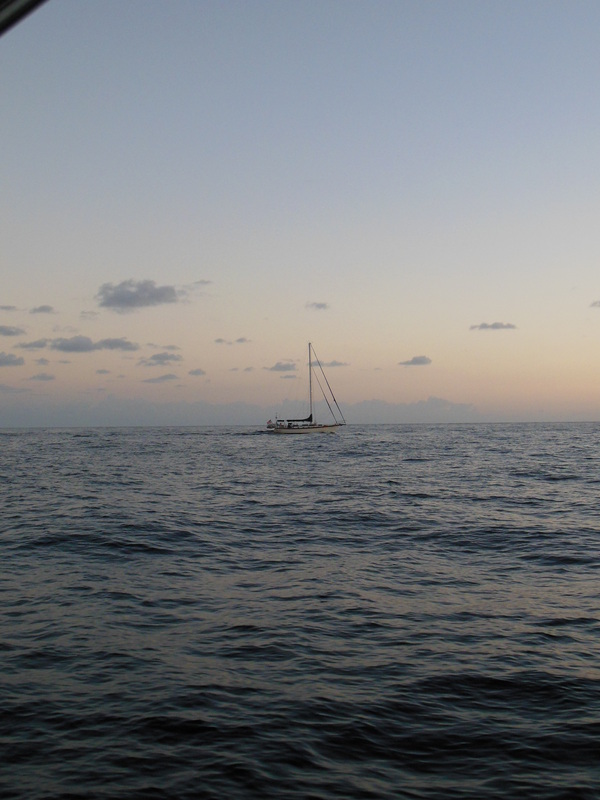 Out on the ocean, it is nice seeing the other boats along side. Somehow it is comforting. 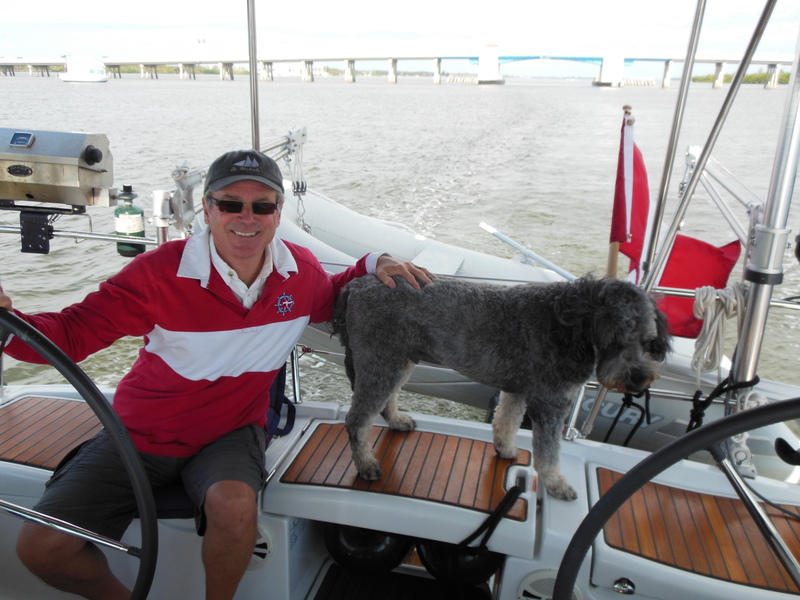 And, although crossing the Gulf Stream is rough, we are okay. No serious sea-sickness. Silver Maple handles it beautifully. 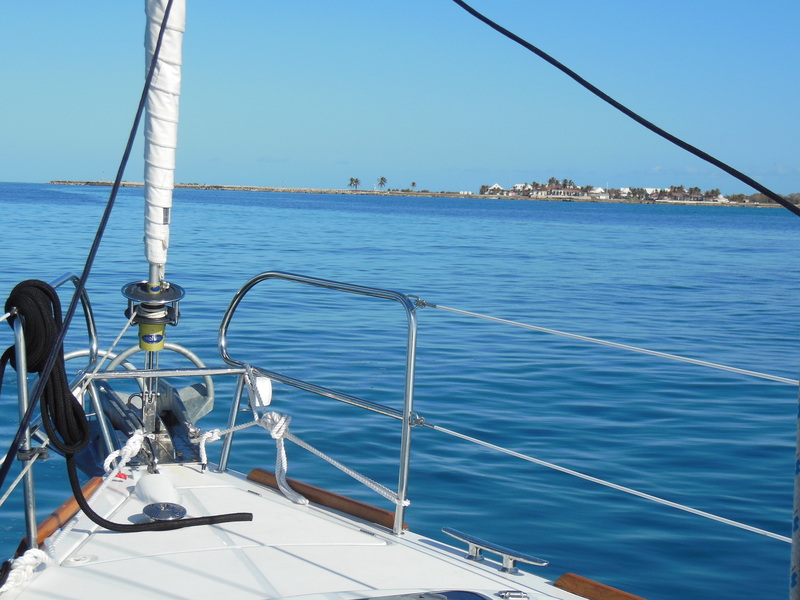 As we approach the Bahamas, the seas level-off enough to sail and later become very calm as we arrive at the harbour at West End on Grand Bahama Island. When we get in shortly after 3 PM, the other boats travelling with us, who have done the crossing many times, say it is the best conditions they have ever had. Hard to believe. Not sure we would have been up for it being any more raucous than it was. Hard to believe after the months of travel that we are in the Bahamas! Today we spend relaxing at the beach near the marina and at the pool. Very nice. It is lovely here. 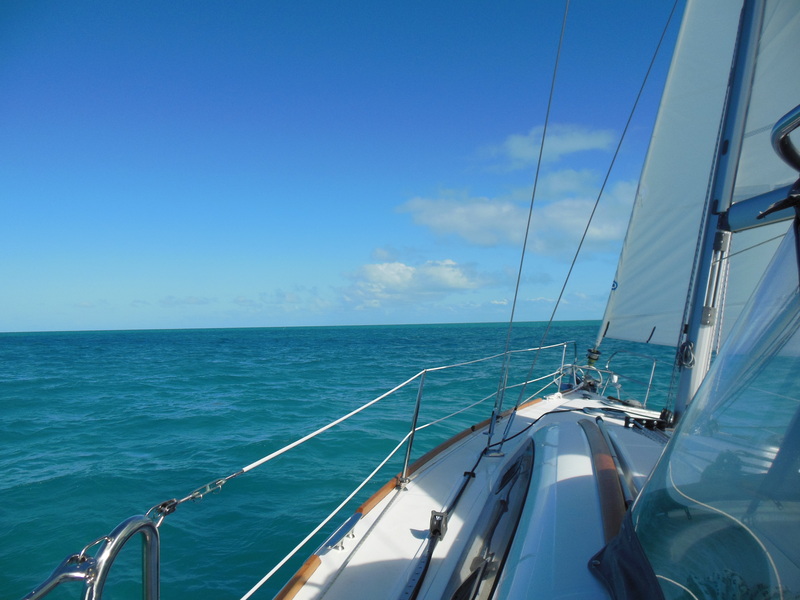 Plan tomorrow is to move on, probably to Great Sale Cay about 45 miles away, if the weather is good — but we hear storms may be moving in, so we will make the call in the morning. 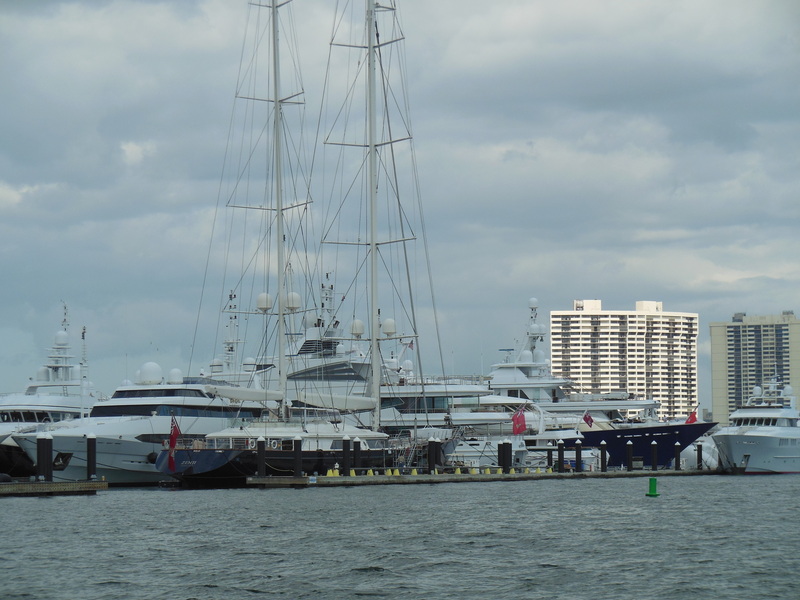 We are in Palm Beach, Florida waiting for good weather to cross over to the Bahamas. Our journey down the east coast is complete! Woohoo! Now passing time doing final preparation and provisioning for the trip, while we wait for just the right conditions to make the crossing. 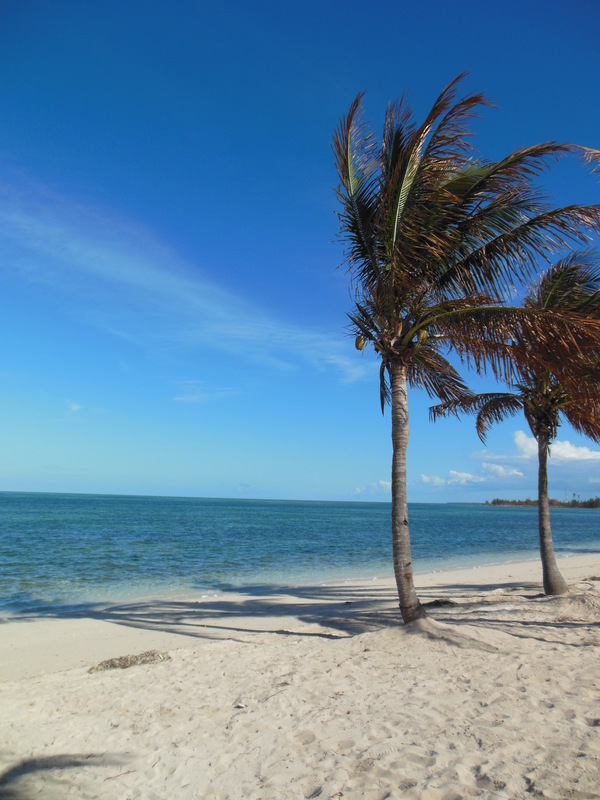 On Monday, we leave Cocoa and head to Vero Beach. 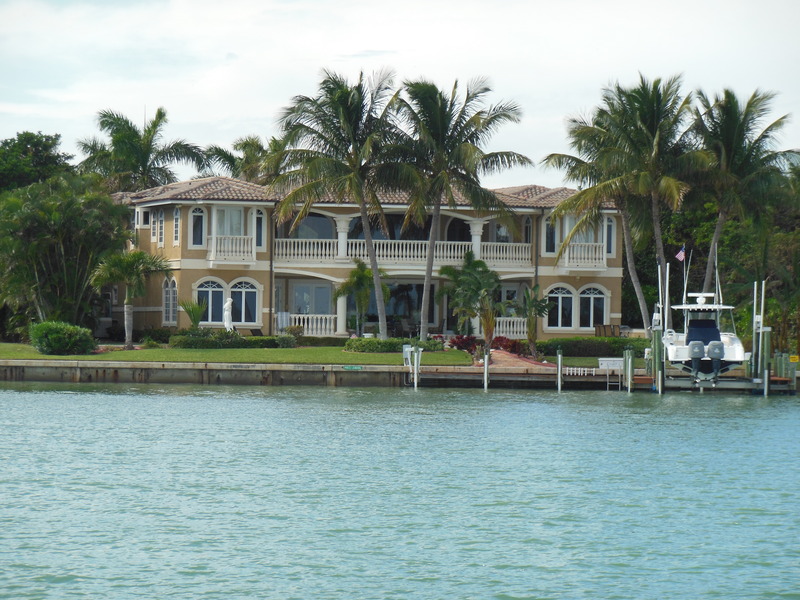 The Inter-Coastal Waterway in Florida is lined with lovely, huge homes through this area. 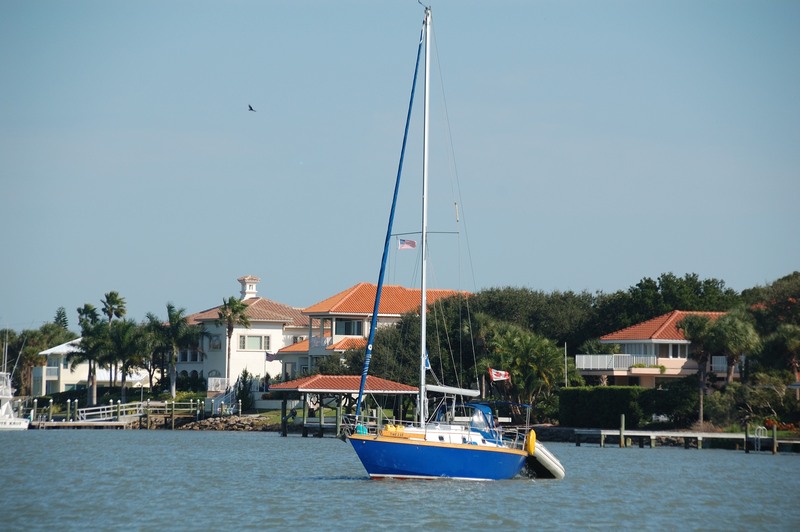 When we arrive in Vero Beach, the marina is quaint with some ‘regulars’ who seem to spend hours sitting on lawn chairs outside of the main marina building. You can’t past them without some kind of comment. We walk into town for dinner, which is more of a beach strip — but its a lovely evening. 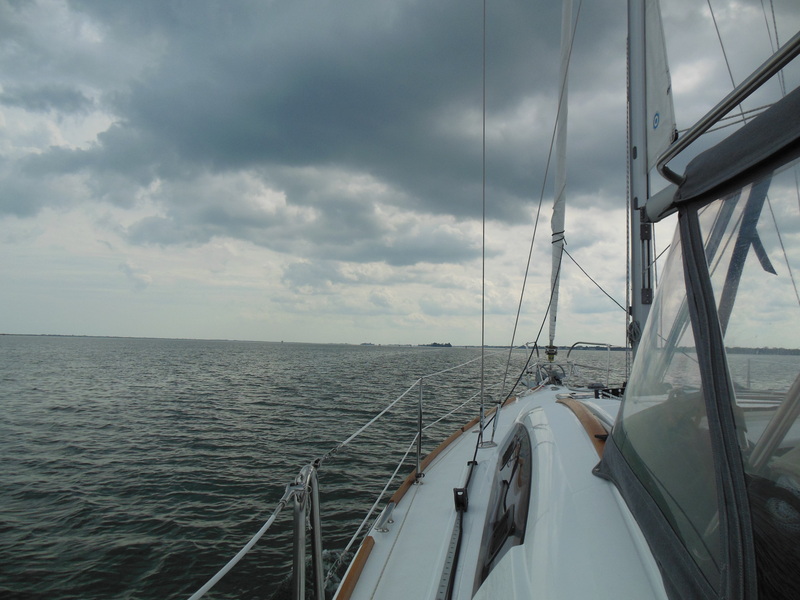 Back on the water Tuesday, we stay just ahead of the storm (nor-easter) as we head to Stuart, FL. We dock just before the storm, which turns out to be only a few sprinkles when it arrives in Stuart — unlike the horrible weather folks got up north. 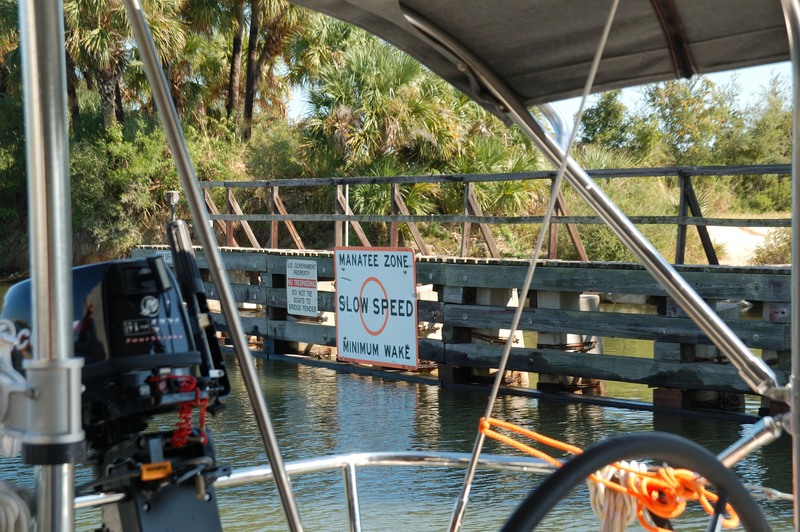 Now we are in Florida, we are doing short trips each day to check out marinas along the way as potential places to keep the boat next year. This is a one way trip and the plan is to find a place to keep Silver Maple somewhere south so that we can come back and visit next year. 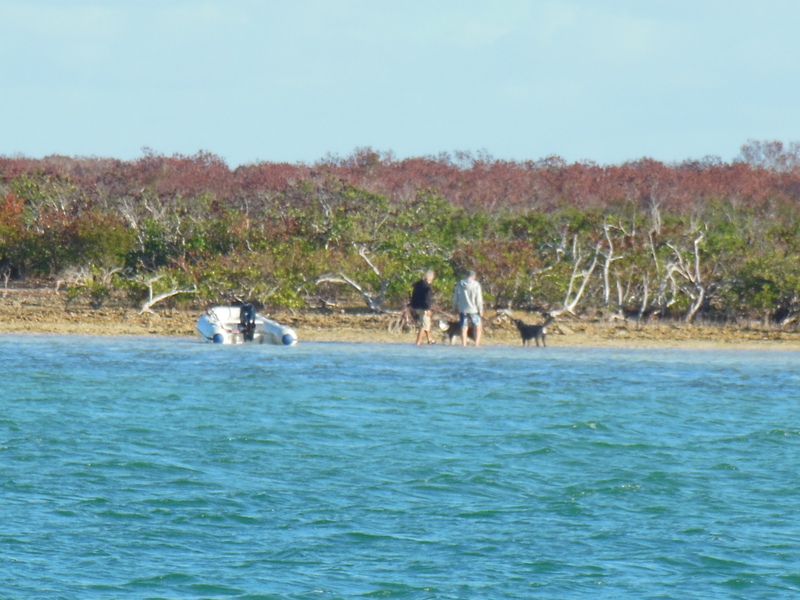 Stuart is one of the places that is a potential place to keep the boat. Hey! We are being passed by other Canadians! After the storm passes, the cold front moves in. 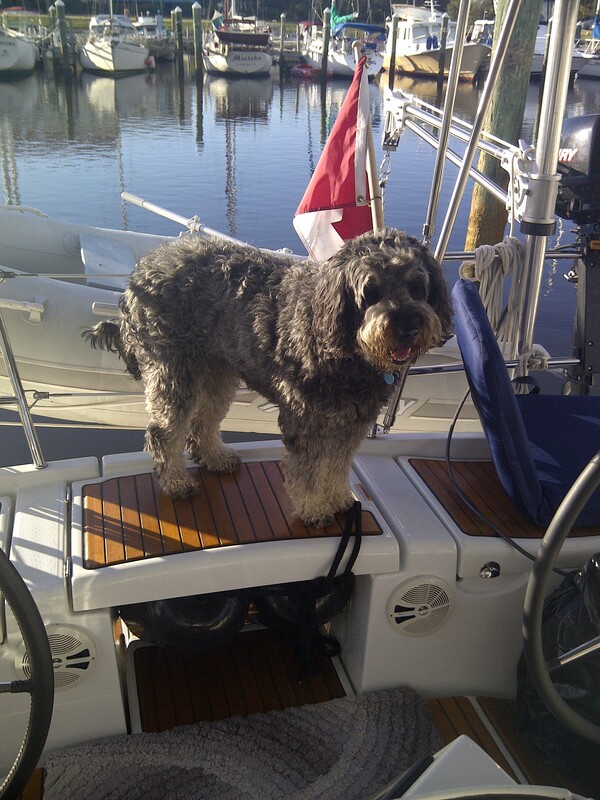 It is a chilly morning when we leave Stuart and head to North Palm Beach. 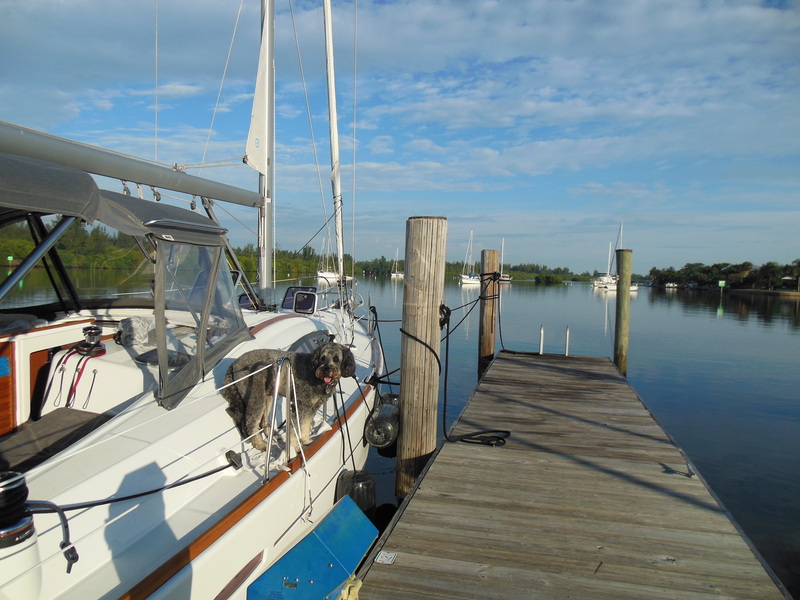 When we arrive there, the parts and mail we had forwarded are waiting for us, so we spend a couple of days working around the boat and catching up on things. On Friday,we head to West Palm Beach. 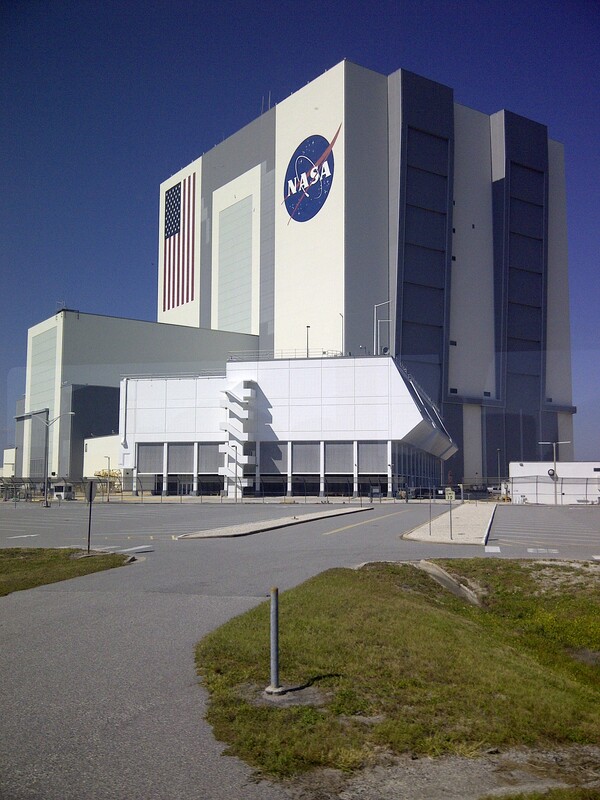 It’s still cool and below normal for Florida (low 70s F), but its sunny. For the first time we see blue tropical-like water. We are getting close! 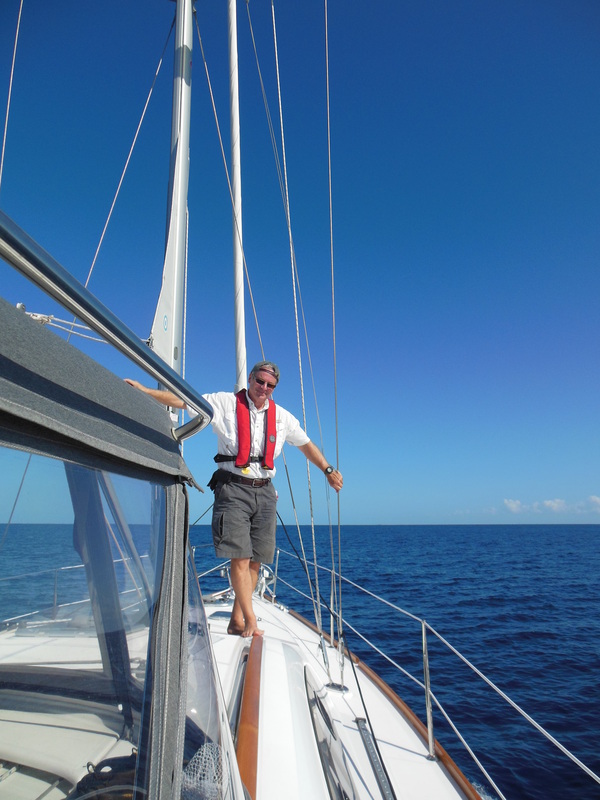 We have now completed the trip down the coast and are waiting for just he right weather to make the crossing to the Bahamas. We need the waves to be small and the wind to be blowing the right direction. Unfortunately, the forecast doesn’t look good, so we could be here for a while. Will keep you posted!! Now that we are this far along, we are taking time to enjoy Florida while we wait for hurricane season to be over in mid-November. 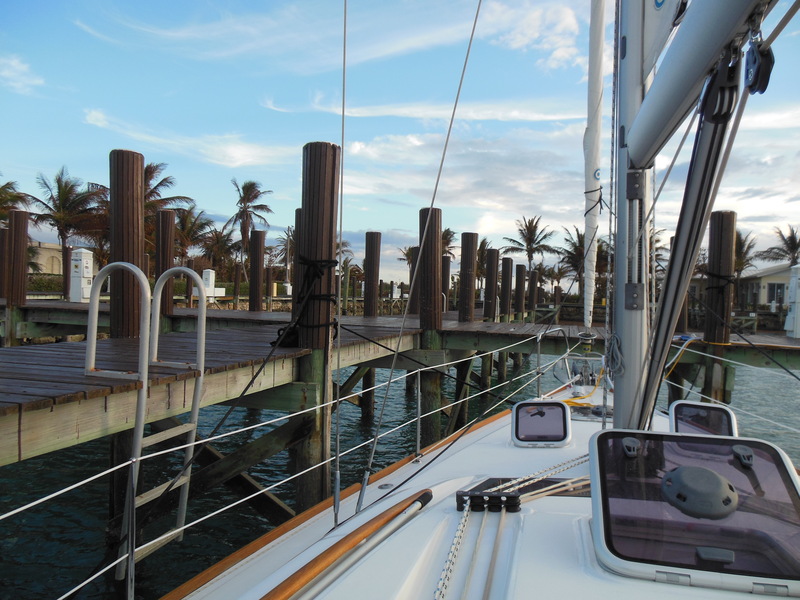 Then, we will make the crossing to the Bahamas from Palm Beach, FL. 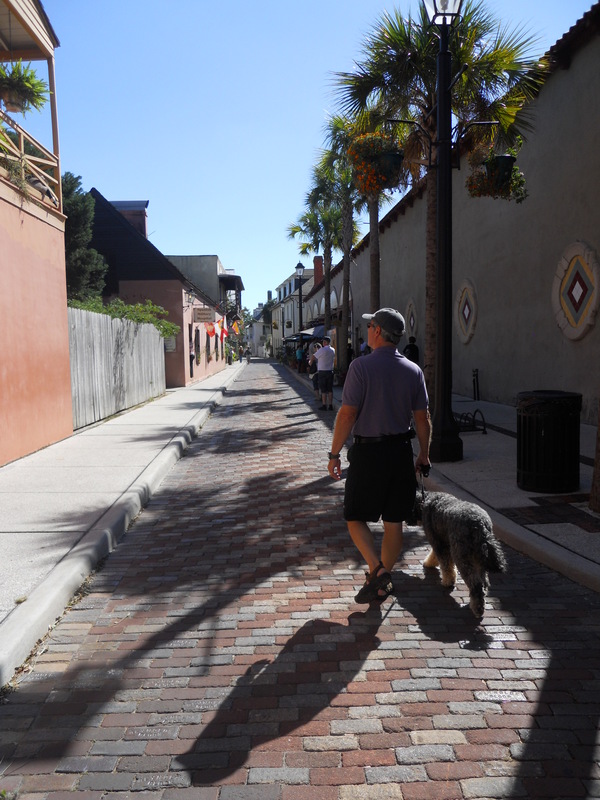 After weathering Sandy in Jacksonville Beach, Florida, we head to St. Augustine. 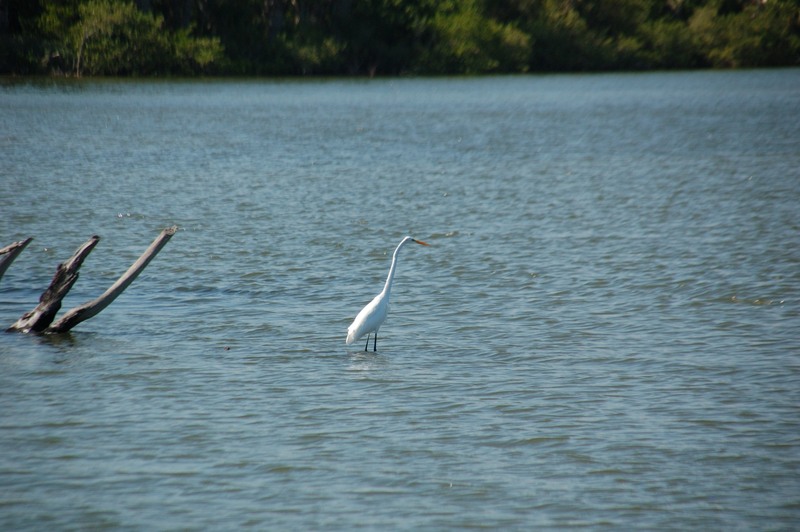 Travelling the ICW through Florida is a better experience than some of the other states. Depths are better and the tides aren’t as extreme. 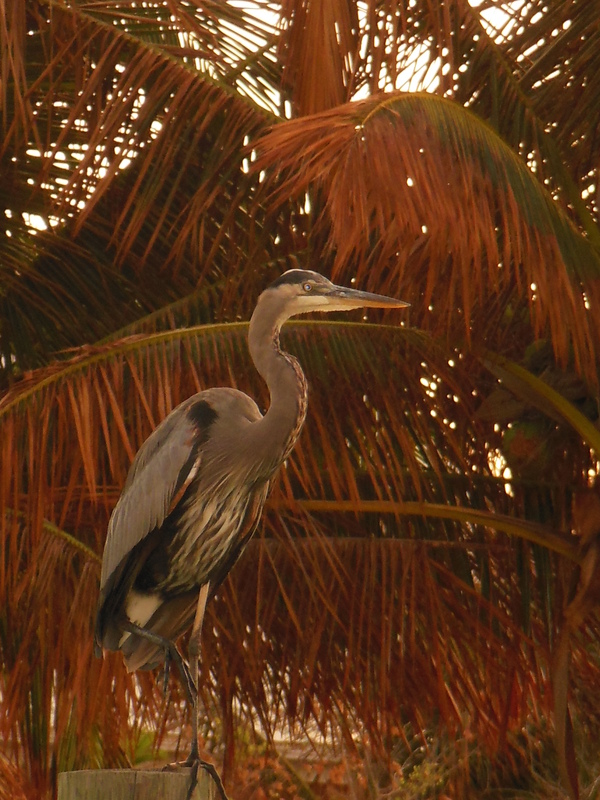 The scenery and wildlife in Florida are fabulous too. 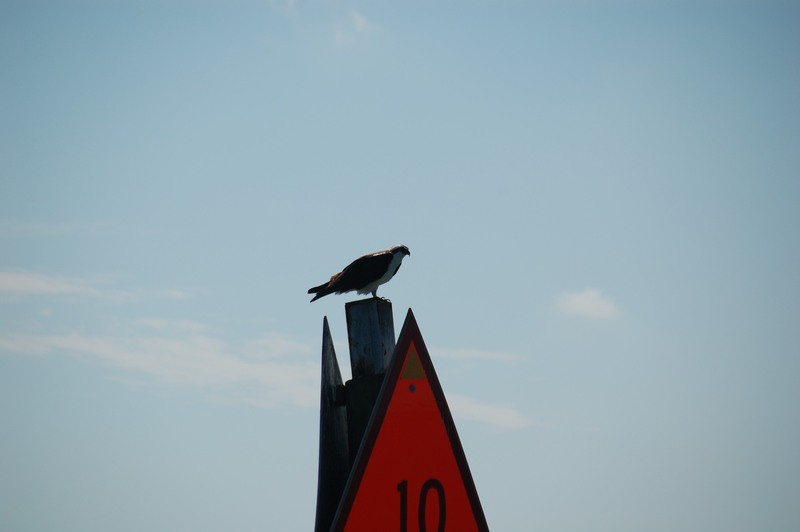 We see dolphins, manatees, bald eagles, flamingos — it has been just incredible. 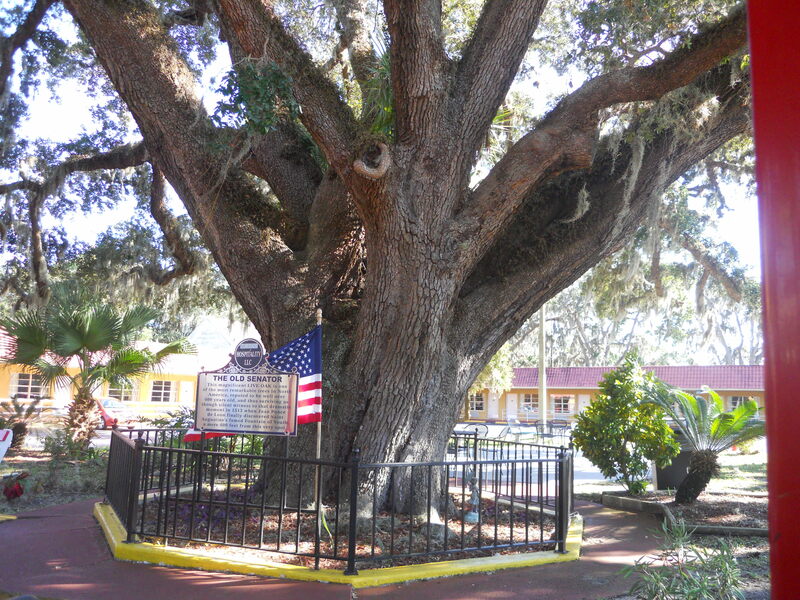 St. Augustine has a lot of great history, but unfortunately, the town is a bit of a tourist trap. 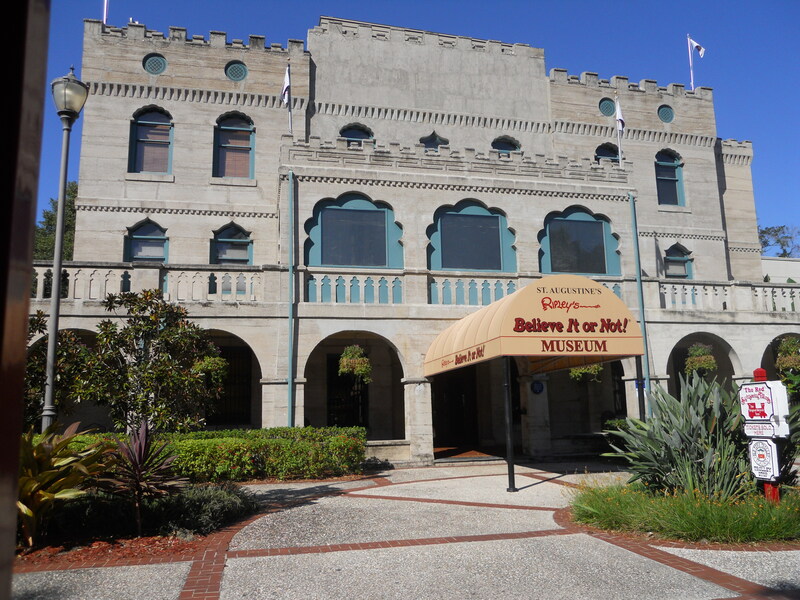 As the birth place of Ripley’s Believe It or Not, the whole place has a bit of a ‘cheesy’ vibe. 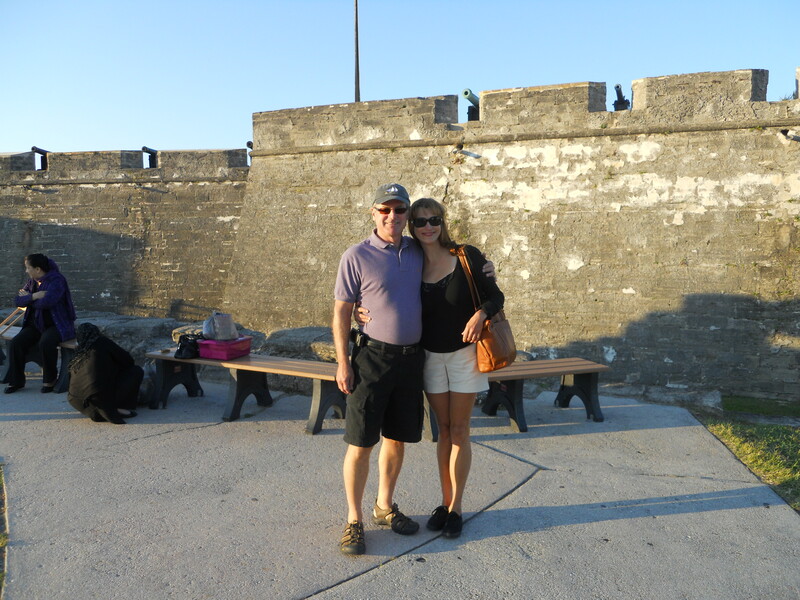 Nonetheless, we enjoy the visit and a walk around the Spanish fort. 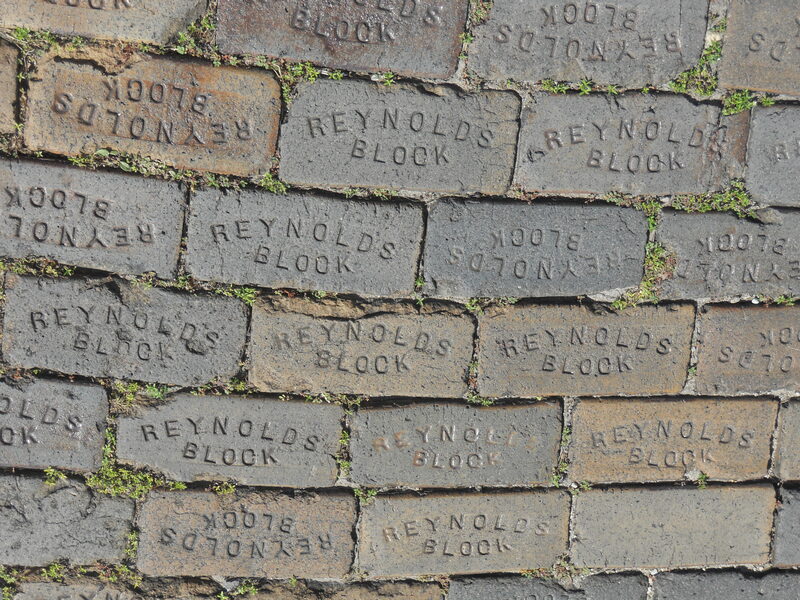 Bricks that are used to pave the streets are Reynolds Block! 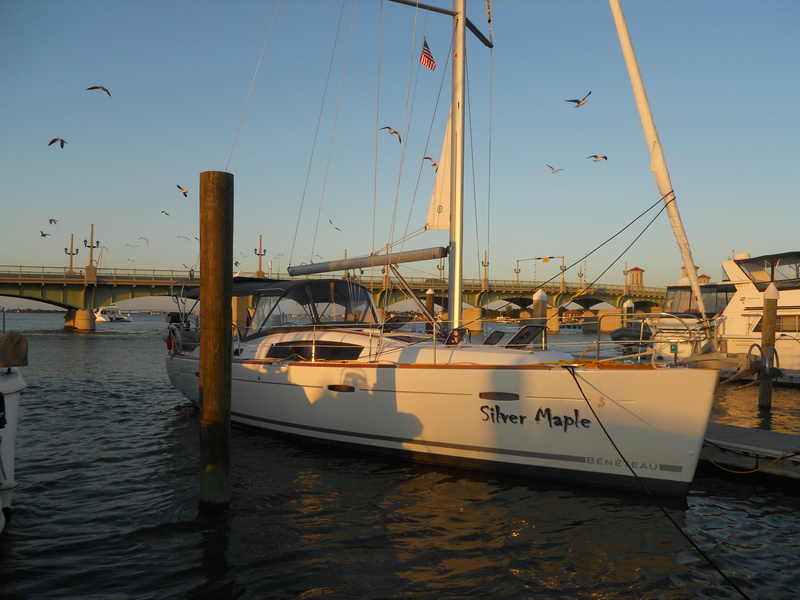 From St. Augustine, we head to Palm Coast and stay for a couple of days at a small marina there. 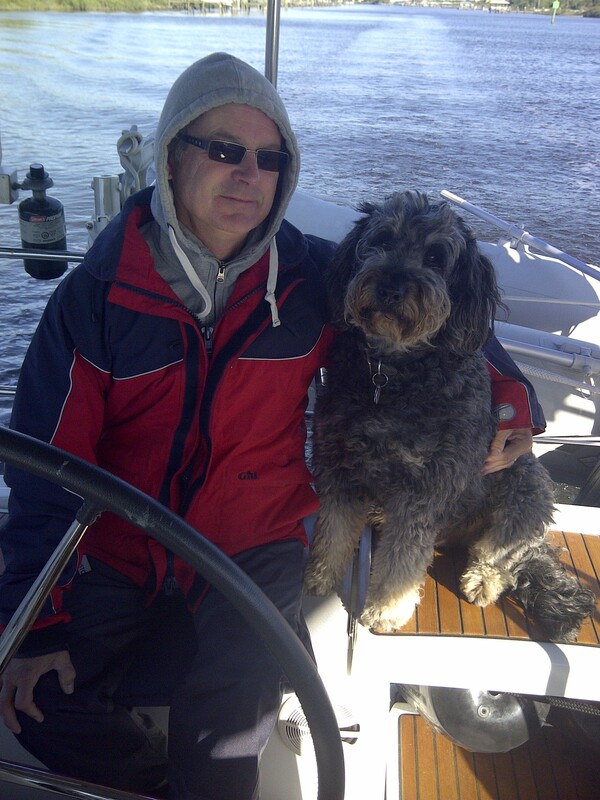 Our friends Marcie and Jim on their boat ‘Island Jim’ are there when we arrive. 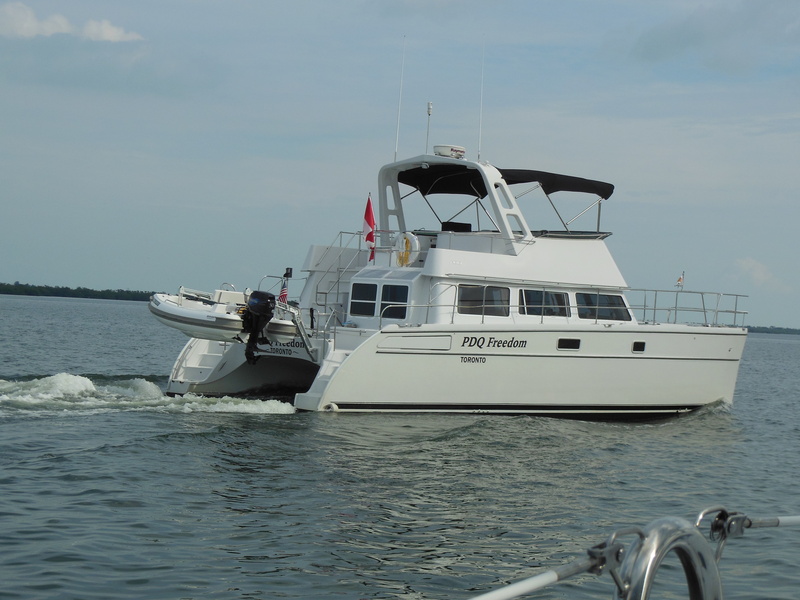 Dave and Anne on ‘Time 2 Go’ (from Port Elgin, ON) arrive the next day. We take a break from travel to play and round of golf at a nearby course on Tuesday. It is still windy and cold, but we enjoy the day anyway — being the hardy Canadian golfers we are. Next, we head to Daytona Beach, Florida. 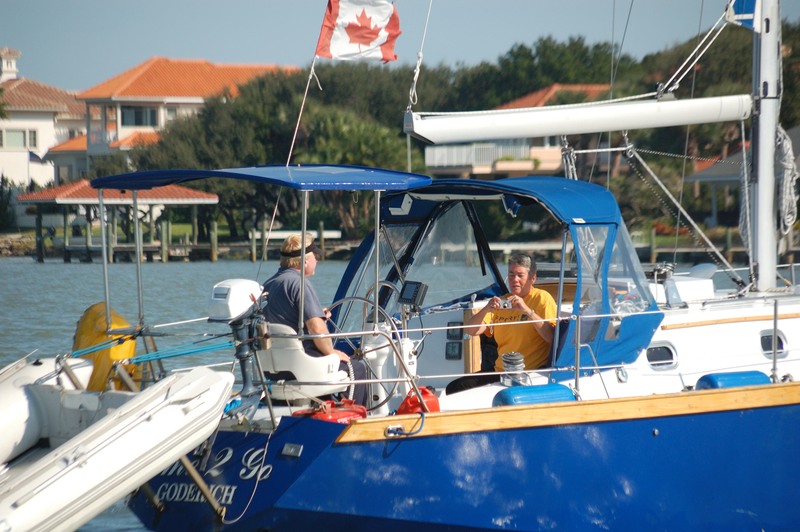 The Halifax Yacht Club in Daytona is just near the waterfront town that they are attempting to revitalize. We have a short walk around, but there isn’t much to see. 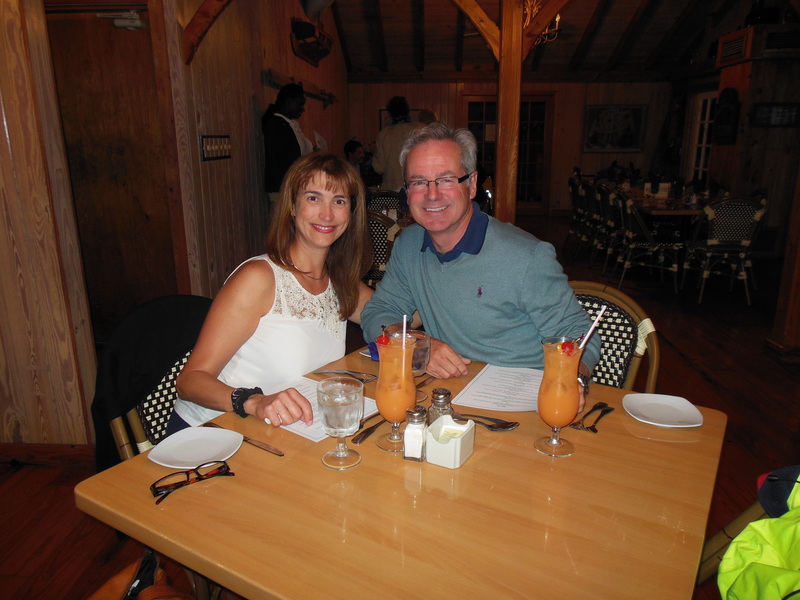 Anne and Dave (Time 2 Go) meet us for a fun dinner at the Yacht Club. 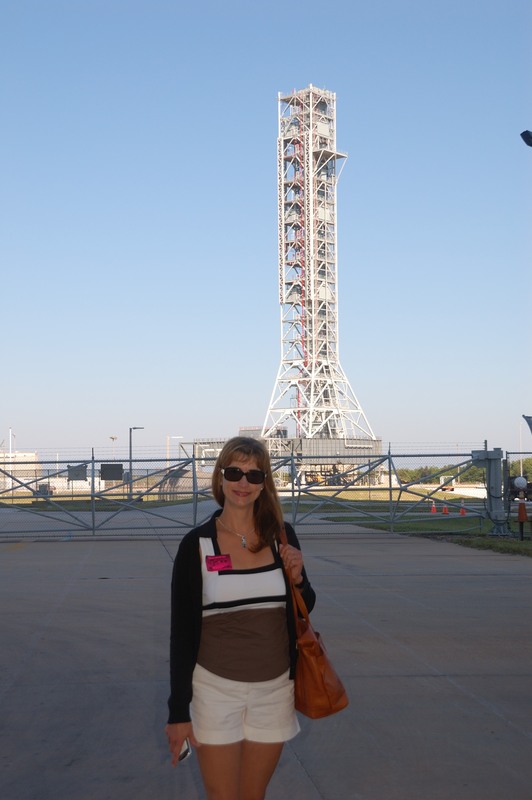 After Daytona, we head to Titusville. 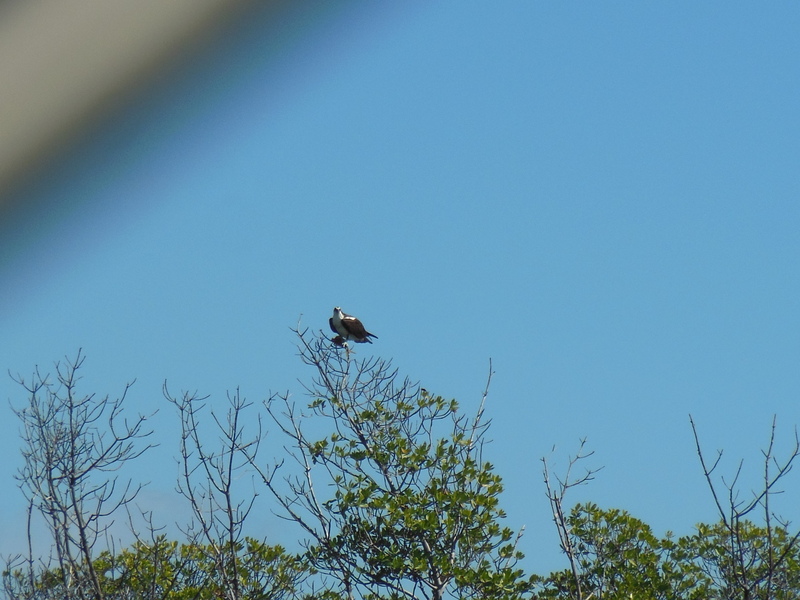 This is the best wildlife viewing day! We see 4 manatees and lots of dolphins. Wonderful! Time 2 Go follows us most of the day. 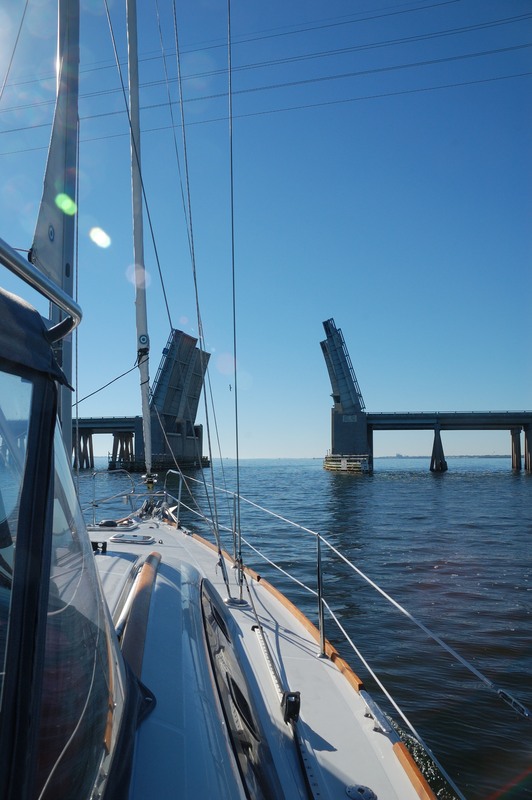 Titusville is the final destination for them for this leg of the journey. 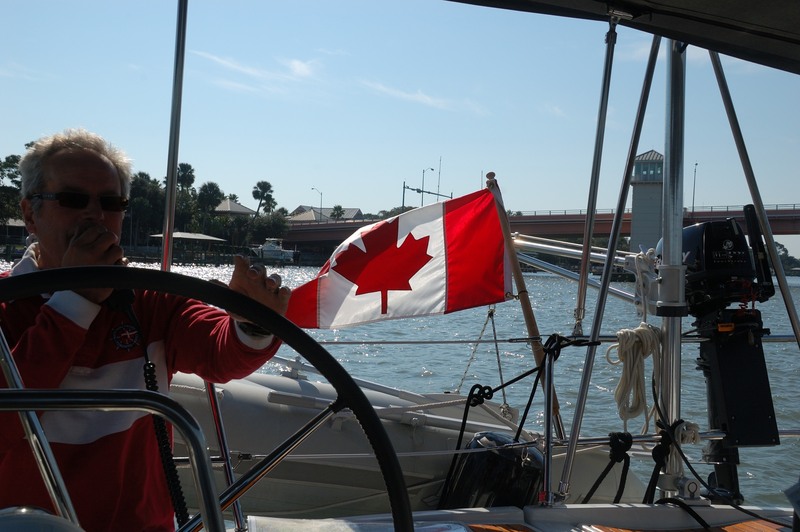 They are flying home from there to spend the holidays before returning in January to continue the voyage south to the Bahamas. We have cocktails on their boat and agree to meet up in the Bahamas. Manatee Zone! We see 4! Just before we head to bed in Titusville, we hear what sounds like gun shots nearby. 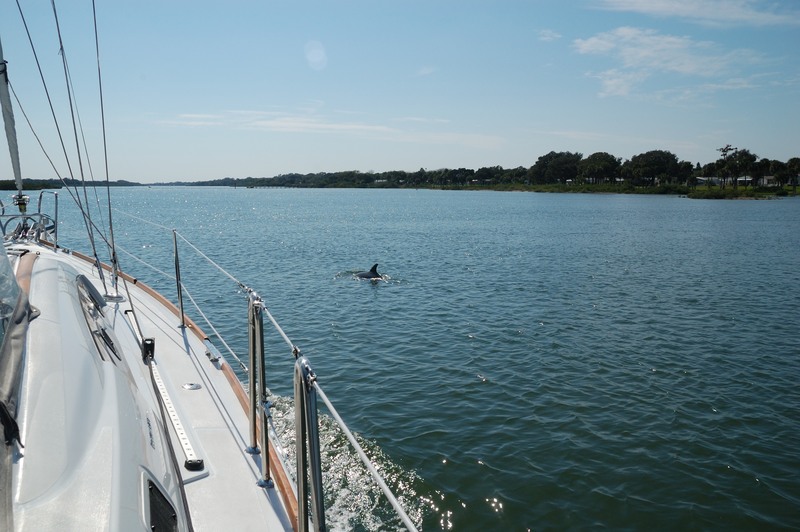 When we ask the guy at the marina the next day about it, he gives us the impression that it is normal. Needless to say, we are happy to leave Titusville and head to Cocoa, Florida. 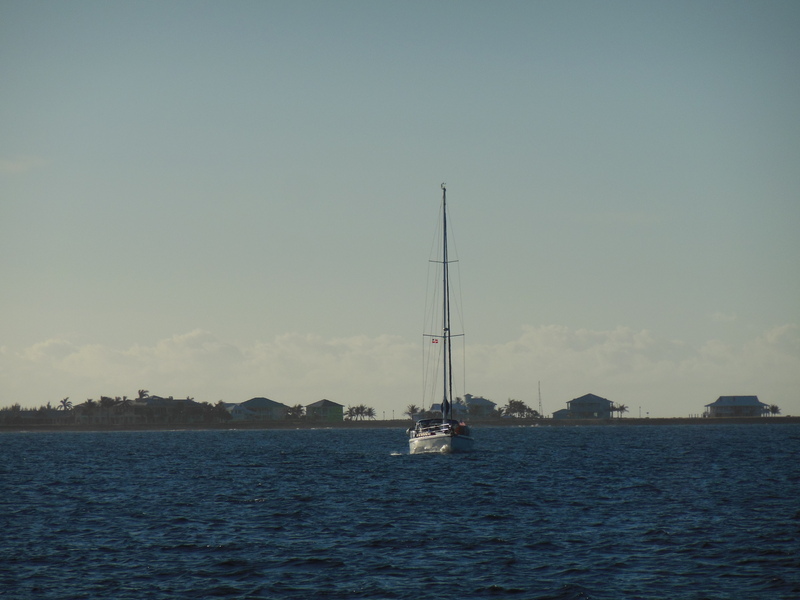 When we arrive in Cocoa, we dock right next to our friends on ‘Island Jim’. Small world! We keep seeing them. 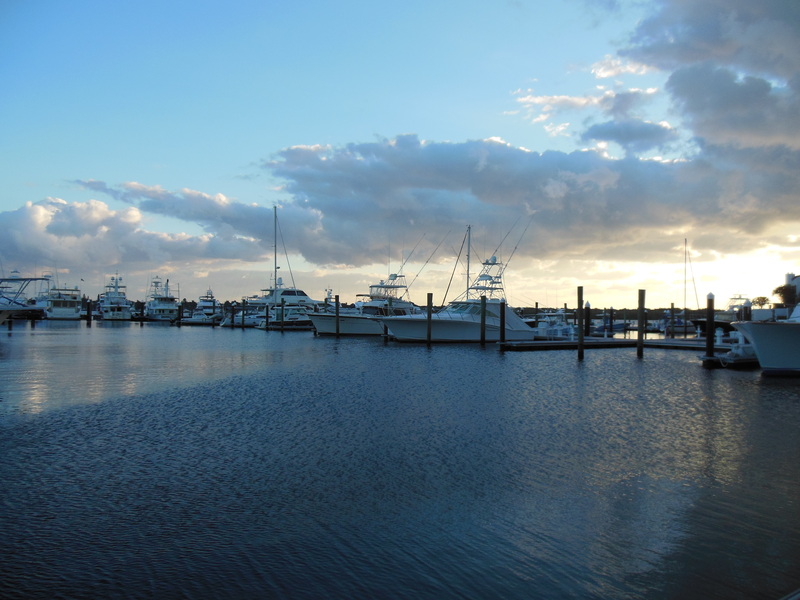 Near the marina, the town of Cocoa is lovely. Cute restaurants, art galleries and a great hardware store all within walking distance. We rent a car and stay for a few days. 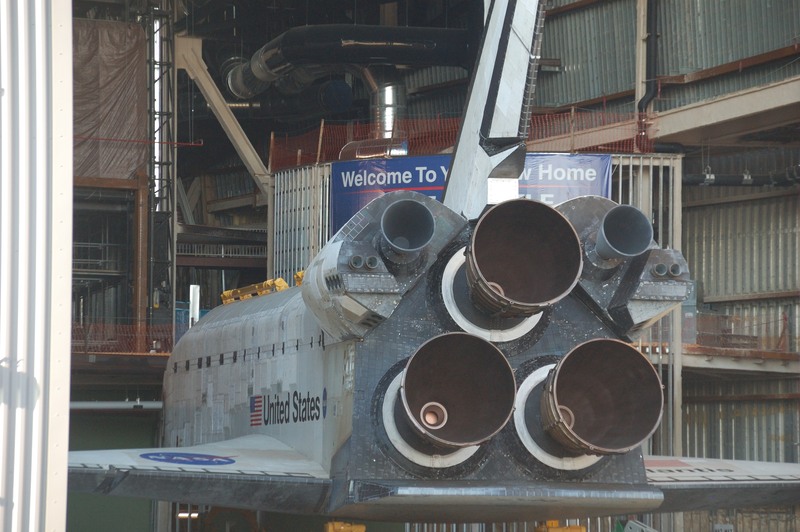 On Saturday we head to the Kennedy Space Center. Very cool! And, we run into Dave and Anne (Time 2 Go) there! 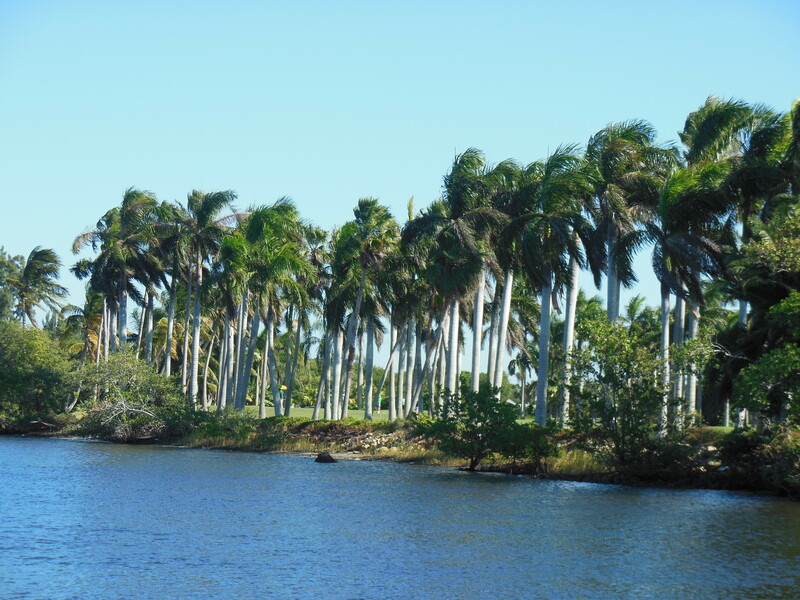 Sunday (today) we play golf and its a beautiful sunny day and around 80 degrees F.
Tomorrow we are heading on to Vero Beach, Florida. It will be a slightly longer day for us of around 50 miles, but with the time change, the sun will be up early so we can get a good start.